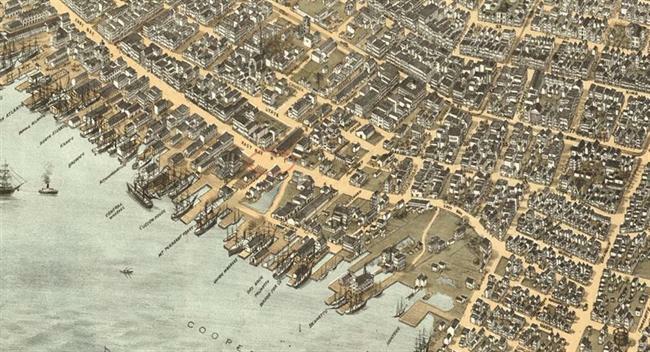 When Charleston was settled, this creek and its marsh spread inland from the Cooper River as far west as Meeting Street. “Major Daniel’s Creek” was maintained as a shipping channel, with ongoing improvements that drained wetlands as “made ground” for building lots. After the bridge closed off its upper reaches, the creek was filled as Canal or Ellery street – today’s North Market Street. 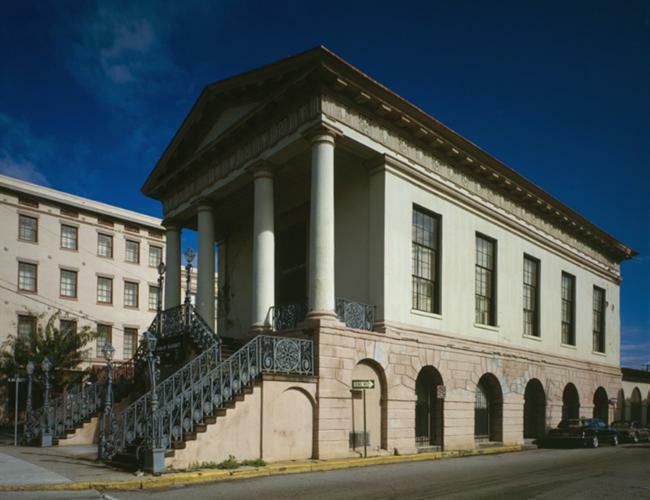 In 1747, when the bridge was new, Charles Pinckney was building a mansion house at Colleton Square, between today’s Market and Guignard streets. He and his wife, Eliza Lucas, went to Europe in 1753, and for years their impressive brick house was rented for South Carolina’s governors. James Glen (governor 1743-1756) was the first to have his official residence in the Pinckney mansion; Lord Charles Greville Montagu (governor 1776-1773) was the last. Below Governor’s Bridge, Daniel’s Creek was not filled in for many years, but Craven’s Bastion, the northeast point of the ring of defenses built around Charleston in the early eighteenth century, disappeared beneath made land and new construction. After the establishment of the market between Meeting and East Bay streets, in 1807 the Commissioners of the Centre Market built a new fish market east of the Governor’s Bridge. 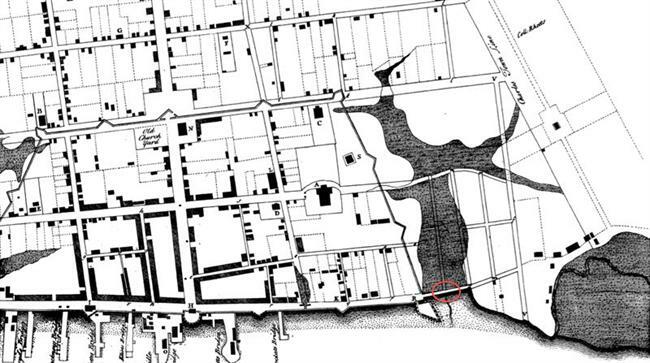 Although the creek had been significantly narrowed, there was still enough tidal flow in “Market Street” to constantly refresh the fish market basins. South of the creek was Fitzsimmons Wharf, whose loyal patrons included the operators of several steam packet boat lines. The wharf was part of the area purchased by the federal government in 1849 for construction of a new United States Custom House and dock. City of Charleston Engineer’s Plat Book. Index book and microfilm, S. C. History Room, Charleston County Public Library. Mayrant, Drayton [Katherine Drayton Mayrant Simons]. “Charleston Wharves, 1866,” in Claude Henry Neuffer, ed. Names in South Carolina. Vol. 14. University of South Carolina, Winter 1967. The creek at the north side of Charles Town was known as Major Daniel’s Creek in the late 1600s. Robert Daniel, deputy governor of South Carolina, owned the lots south of the creek. 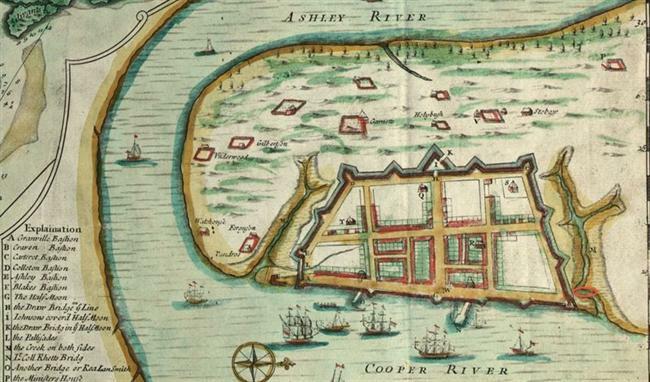 Governor’s Bridge is shown on this 1739 map, with a projected street (North Market Street) running to the north. 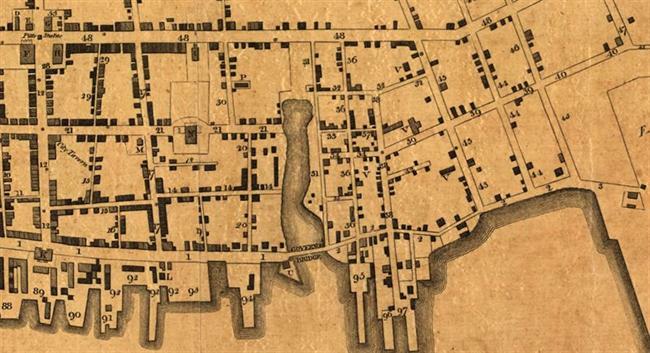 1806 plat showing East Bay Street, Market Street, and Channel/Canal Street. The William Seabrook ran to Savannah from Fitzsimmons Wharf until the late 1840s. Market Hall, 188 Meeting Street, completed 1841. By 1872, Major Daniel’s Creek and Governors Bridge had been forgotten. 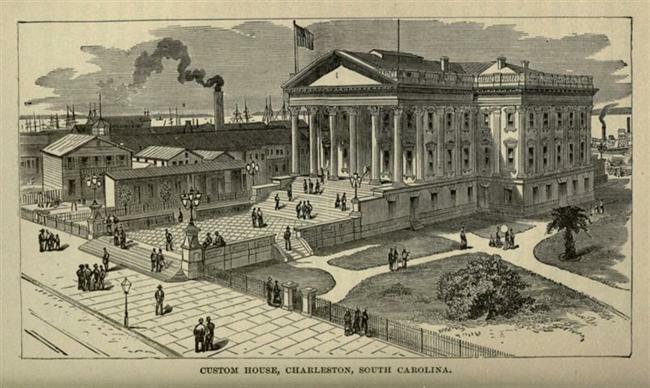 United States Custom House and lower Market Street, looking northeast from East Bay Street.